Jim Arnal has been a licensed Portland Realtor since 2003. In just his second year in business Jim’s practice reached a sales volume which was among the top 10% of active realtors in Portland. In 2007, Jim was the Top Agent in his office and from 2008 to 2013 Jim was one of the top 10 Realtors at Windermere Real Estate (CCRGI) and among the top 1% of producing Realtors in Multnomah County. In 2017 Jim moved his practice to Living Room Realty fulfilling a long term goal of working for a truly local Portland company. Jim has been a Diamond-Platinum Member of the Portland Metropolitan Association of Realtors for the past 12 years, which is the Portland Metropolitan Association of Realtors highest designation. He holds licenses with the National Association of Realtors, the Oregon Real Estate Agency and Portland Metropolitan Association of Realtors. In 2009 Jim became a Principal Broker and added a full time licensed assistant to his practice. During his 15 years in real estate Jim has had the opportunity to represent the sale of the award winning Lair Condominiums as well as other projects such as the Canyon Hollow Townhomes. As of 2015, Jim’s career sales volume was over $200,000,000 with over 500 clients represented. Today Jim practices real estate throughout the Portland Metro with his primary focus being among Portland’s close-in urban areas. Jim describes himself as a marketing specialist and community advocate, with a focus on consulting and marketing, not selling. Jim works with both buyers and sellers who purchase and sell homes in almost all price ranges throughout the Portland metro and is proud to stand by his commitment of only working with a set number of clients at one time. Jim is the proud father of three young children, who he and his wife spend almost every free moment with. 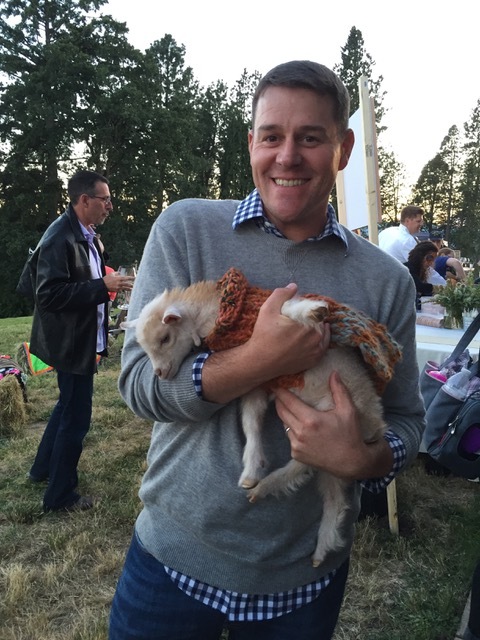 Outside of his family and real estate practice, Jim is the Founder and Principal of Rosebridge Development, whose primary focus is building high end homes in Portland urban niche markets. Being an active member of his community is important to Jim. He has served in volunteer roles for Habitat for Humanity chapters throughout the west coast & regularly donates a percentage of commission to local Portland organizations such as Habitat for Humanity and the Oregon Food Bank. 3 Year search pays off big! Really big! JUST SOLD: Classic 50’s Ranch with stunning garden surround. The Ranchelow You’ve Been Dreaming Of! Pssst. Hey Buddy, Wanna Buy a House?